Walmart Protection Plan and Expert Home Services available. With a Sceptre 55-inch LED 4K Ultra HD TV (U550CV-U), entertainment is transformed into an epic adventure. The unequalled color and clear brilliance of 4K (3840 x 2160 or over eight million pixels) will provide more natural and lifelike images than have ever been viewed on a 55-inch screen. Four HDMI ports allow you to connect up to four devices at once, so you can stream, browse and listen to all of your favorite multimedia. Equipped with HDMI 2.0 ports, the U55 can seamlessly stream 4K video to provide you the most rewarding viewing experience that is available on the market. Explore your apps on this giant LED screen once you connect your smartphone or tablet to the Mobile High-Definition Link (MHL) port. The innovative USB port further expands functionality. TV stand sold separately. See all TV stands. TV mount sold separately. 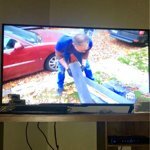 See all TV mounts. After reading many negative reviews, I felt it was worth taking a shot and purchased this TV. Maybe I just got lucky and got a good one, but for the price, I am very impressed with the size, the vibrant colors and the overall quality. The speakers are not the greatest but you can adjust them in the control panel to improve the sound. I like the legs that came with it, that are not cheap plastic, but rather metal. It took me less than 5 minutes to hook it up and enjoy viewing my shows. If you are looking for Bang for your buck and want a 55" TV, this is a great choice. 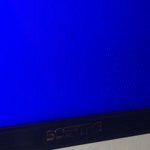 I started my TV shopping journey with Best Buy and other "known high end" stores. I compared the cheap versions at each store. I needed something I could watch TV and play video games/Xbox One on. I was skeptical at first with the price and brand but after doing some research, all TVs are build on the same standards and you honestly are paying for the name. The picture is great and my video game experience is awesome! I have about a 100" wall to put this on and 55" was plenty! Walmart shopping was awesome as well! Only complaint and this can be resolved easily with a sound bar is the sound isn't crisp....it is ok but not perfect! 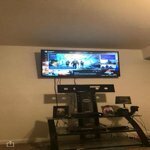 I would recommend this TV for people looking for a nice TV on a budget! Love this TV. The picture is gorgeous and perfect size for my room. I find that the sound is great too! Very happy with this purchase. I had it shipped to my local Walmart. It arrived in perfect condition. The picture quality is great, but the sound is weak. I installed a sound bar and now it sounds very good. I was hesitant to purchase this tv, due to some bad reviews, but this one has no problems at all. This 55 in. High def. Tv for less than $350.00 is the best I've found. 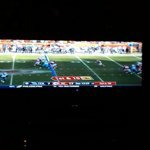 It isn't perfect but is a great TV. Has a little light showing around edges, but not really enough to bother. For the price and it also not being a major brand, I'm satisfied with my purchase. 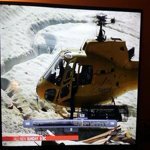 Would recommend this television to friends. 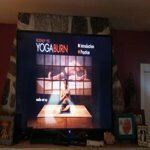 I have received 3 U550CV 4K 55inch tv's from Walmart. The first had a broken screen. The second and third both had defective tv tuners. 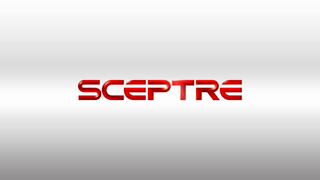 I contacted Sceptre tech service and was told I needed a new Antenna and Amp to boost my signal. 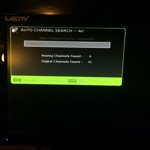 I purchased a new attenna with amp and the 4K tv will still not receive air stations. 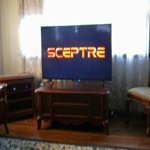 As a test I connected another Sceptre TV E243BD I own and it received 41 stations on my new attenna. The 4K U550CV received Zero. See attached pictures. HELP. So after a year, I'm giving my rating. When I first purchased this item I was thrilled. 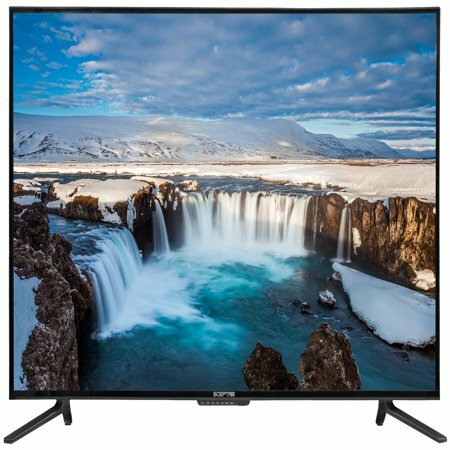 A 4K TV for under $450. Now I wish I had just saved a little more and spent the extra $200-$300 for a different brand. STAY CLEAR OF THIS. YOU GET WHAT YOU PAY FOR!!! I'm slowly having pixlas fail. There in the past months and the TV is out of warranty. Walmart prides there self with quality and this TV is junk. There pixals fail in just over a year is unacceptable. This TV has never been abused. It was hung on the wall and never touched. The picture shows one of the three failed pixels, it's annoying to watch. 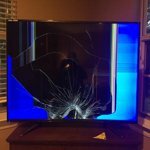 The TV arrived via FedEx with a shattered screen. No obvious damage to the box. I am giving this initial experience one star mainly because it will take two weeks before my replacement arrives via site to store shipping. 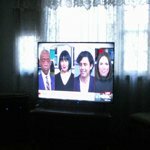 I will post a review of the TV if I can ever get one that works.